Johann Pachelbel was one of the dominant figures of late seventeenth-century European keyboard music. He was a contemporary of François Couperin and the Englishman Purcell, and came chronologically between Buxtehude and Bach. Pachelbel ended his career as composer, teacher and organist at the St. Sebaldus church in his homeplace Nuremberg. In 1678 he became organist at the Protestant Predigerkirche at Erfurt, the ancestral home of the Bach family. He became a dose friend of the town’s most prominent musician, Johann Ambrosius Bach, the future father of Johann Sebastian, and his eldest son, Johann Christoph Bach. Pachelbel undertook the musical education of Johann Chrisoph who, not many years later, would teach his brother Johann Sebastian all he knew when the latter came to live with his family following the death of their parents. 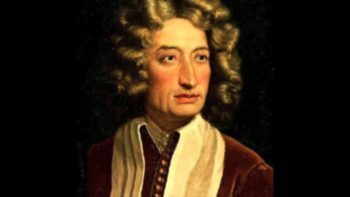 In 1699, Pachelbel brought out his master work, Hexachordum Apollinis, the Hexachord of Apollo, containing six Arias with variations in six different keys for harpsichord (or organ), including the famous Aria Sebaldina in F minor, which includes a dedication to Buxtehude. Aria Secundo from the Hexachordum is now available for free download. The other arias will follow soon.